The Galaxy Note Pro 12.2 we reported on earlier isn’t the only Samsung tablet to be receiving the Android Lollipop update today. 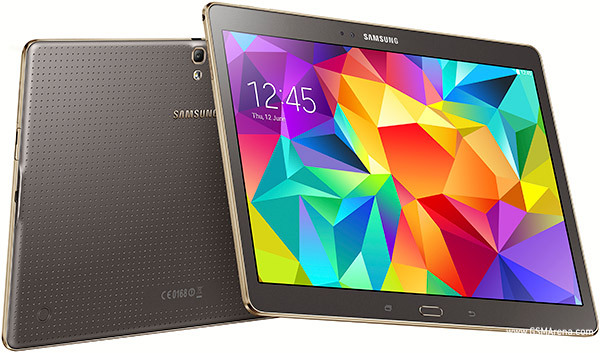 It’s been joined by T-Mobile’s version of the Galaxy Tab S 10.5. This was one of Samsung’s flagship tablets last year, and T-Mobile’s update comes less than a week after AT&T started seeding the same bits to its iteration of the device. Unlocked LTE-capable units have been running Lollipop since the beginning of April, on the other hand. T-Mobile’s official update website doesn’t list any additional improvements in the new update – other than the bump to Android 5.0.2, that is. After applying the software, your tablet will have baseband version T807TUVU1BOE1. The over-the-air rollout will start today, and all the Galaxy Tab S 10.5 tablets sold by T-Mobile should get it by June 5. In case you’re impatient and don’t want to wait, just go to Settings > General > About device and manually check. Alternatively, you can install the update on your tablet using Kies, Samsung’s desktop PC app. The whole procedure is detailed at the Source link below.